Plano Home on Cul-de-sac -- HURRY! 3 Beds 2 Baths 1 Partial Bath 1,866 Sq. ft. This one won’t last long! 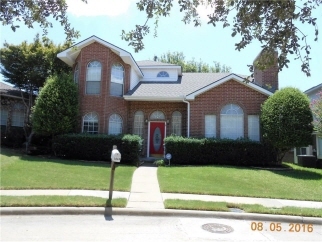 Wonderful 3 bed, 2 and a half bath home situated on a quiet cul-de-sac. Gorgeous wood laminate installed in 2015 throughout. Zero carpet in this home! New roof 2016. Award winning Plano schools! Walking distance to elementary school! Steps from Hoblitzelle Park walking & biking trails. Easy access to I75, shops and dining.